The Nauyaca Falls are an incredible sight. A jungle river falls hundreds of feet in a two-tiered cascade into a blue lagoon. Swimming in the cool, clean pool of water is like taking a dip in Paradise. The Falls can be reached by horseback or jungle hike. 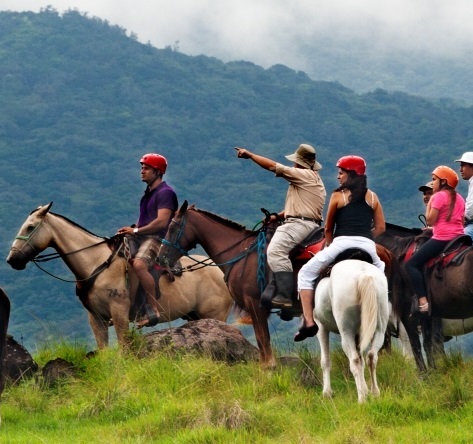 Don Lulu offers a full-day guided horseback adventure out to the falls Breakfast and lunch are included in the package. Guests should provide their own transportation to and from Don Lulu's. Alternately, from the town of San Salvador, a few miles away from the resort, there is a self-guided, well- marked hiking trail through farmland and forest out to the Falls. The hike takes about 3 hours round trip and is moderately difficult on the ascending return. The local "soda" sells the guide map for $2. The Diamante Falls are among the tallest in Costa Rica and can be reached by guided hikes to their base in the valley near San Cristobal. The cliffside can be climbed and repelled by a series of ropes in a guided adventure ponsored by the owners of the property near the base of the falls. They even offer lunch inside a cave behind the falls! the 4km hike to the waterfall starts after crossing over the bridge and passing through the jungle. The trail is well-maintained, and during the dry season (when we went) it was relatively clean. After a heavy rain, the trail does become very muddy so you might want to bring shoes you don’t mind getting dirty. While some spots are shady, there are good portions that leave you exposed to the sun. We recommend you bring sunscreen and lots of water, too. Up the trail a little further is the entrance gate where you will need to show your wristband to the guard. Just a few hundred meters after the gate, you will have the option to visit the upper or the lower falls. While both are spectacular and worth a visit, the lower falls are the larger of the two and have a pool that is safe to jump and swim in. Hacienda Baru is a pristine nature park, 330 hectares reserve of old growth and secondaryforest along the beach. 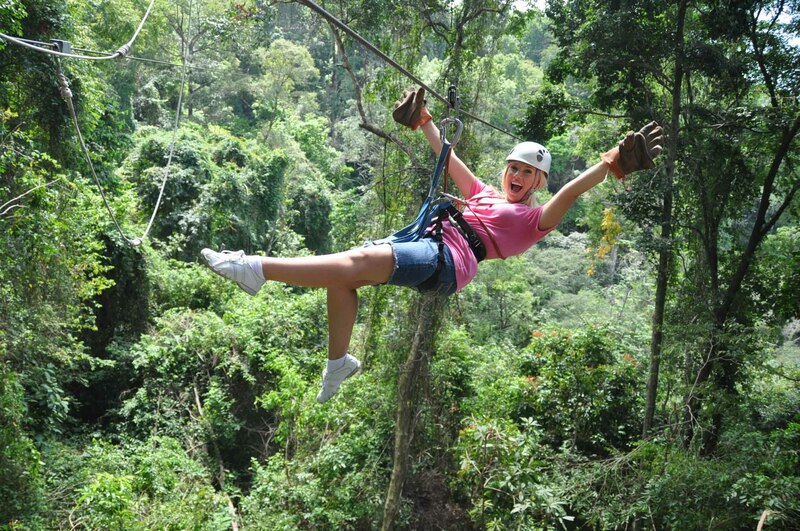 It has superb nature watching opportunities, jungle/canopyexploration and is complete with a zip line and butterfly garden. Their Mission is to protect the wildlife habitats of Hacienda Barú, while educating our visitors about its biological wealth. Learn more about the history of Hacienda Baru’s evolution from a working cattle ranch to a National Wildlife Refuge & Lodge. 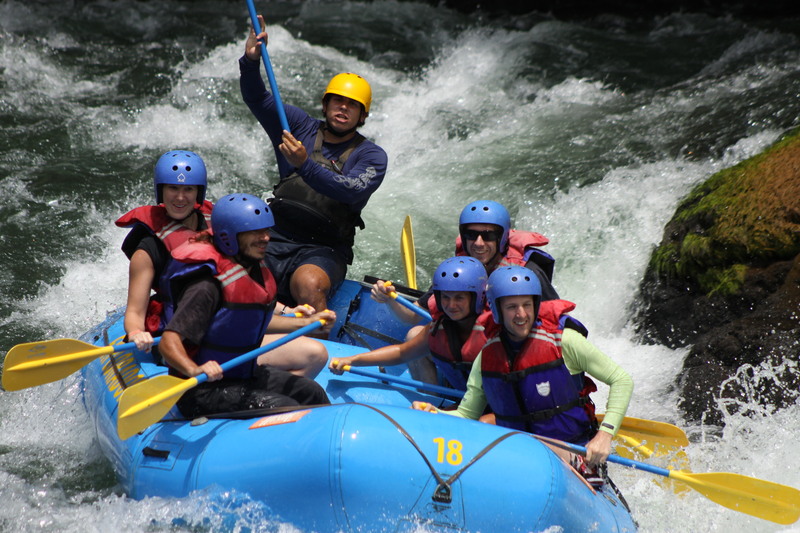 Rafting trips on the General and Terraba River or Rio Coto Brus can be arranged. 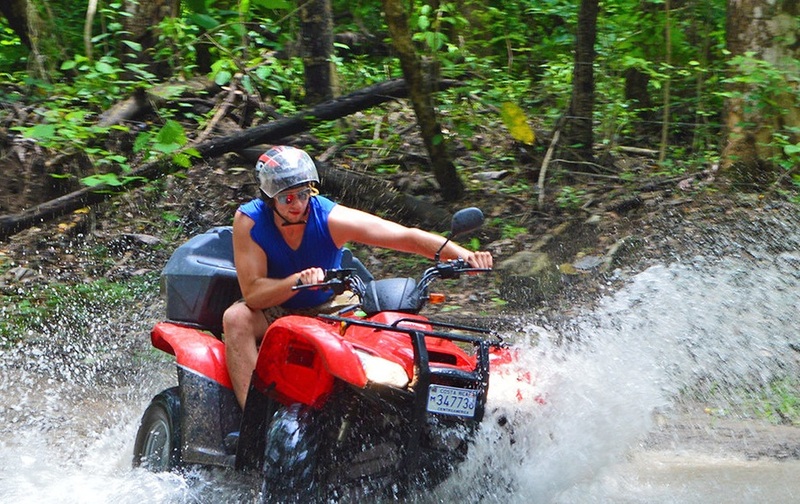 White water rafting trips on the Guabo River run seasonally as does an overnight trip ending near Manuel Antonio. Tubing and Floats: Tubing & floating in the Rio Baru is a perfect experience for those who like to enjoy the nature mixed with adventure. There is lots of nature and beautiful scenery that the river has to offer. This is a nice activity for everyone in the group. Each person will be on his or her own individual tube. 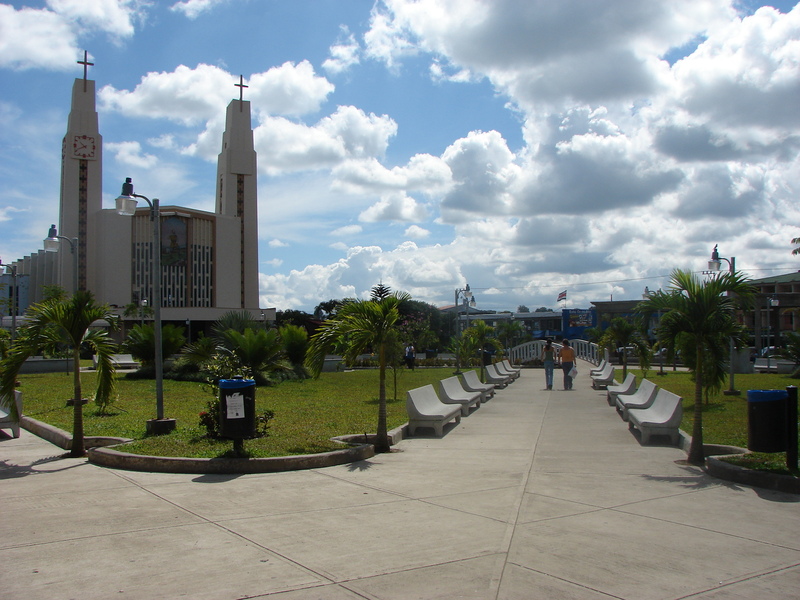 San Isidro is one of the fastest growing small cities in Costa Rica. It is a clean, safe town with manageable traffic, full services, and shopping. Some good spots to visit are the Cascadas Restuarant and Bar, and the Chirripo Restaurant and Soda. The Café de la Casa is near the MUSOC bus station and near the Hotel Diamante Real. Thursday is the "feria" or agricultural market day and is well worth a visit to see the amazing kinds of fruits and vegetables locally grown. The market place and bus station have the authentic feel of Central America while the new mall south of town is a bit of US influence San Isidro de El General,nPerez Zeledon. It is only 25 minutes down to the beach from Los Aires on our new highway. Many businesses rent surf boards and there are schools that offer lessons. 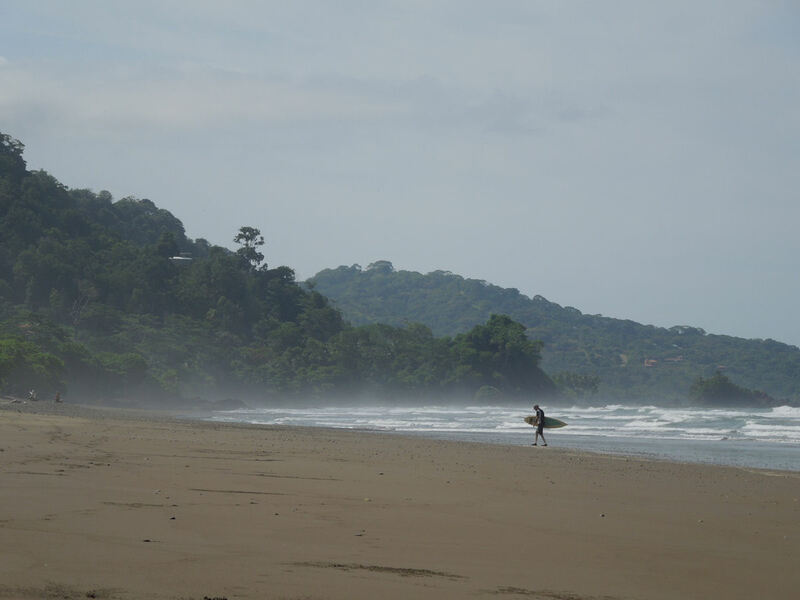 Take a breath and relax at Dominical where crowds are not a factor in the water or in the streets. Referred to as a "hippie town". Ballena Marine Park near Uvita is an easy drive from Dominical and offers snorkeling tours from shore or from small boat excursions. The coastal reefs teem with tropical fish; this is an inexpensive and rewarding day trip. There are a number of shorelines caves to explore by ocean kayak tour of the beaches: Playa Ventanas, Playa Piñuelas, Playa Ballena, Playa Hermosa and Playa Bahia. Further down the Pacific coast is the sleepy fishing village of Sierpe. One hour offshore is Isla Caño. Another national marine park where there is world class diving and abundant snorkelling opportuinites. 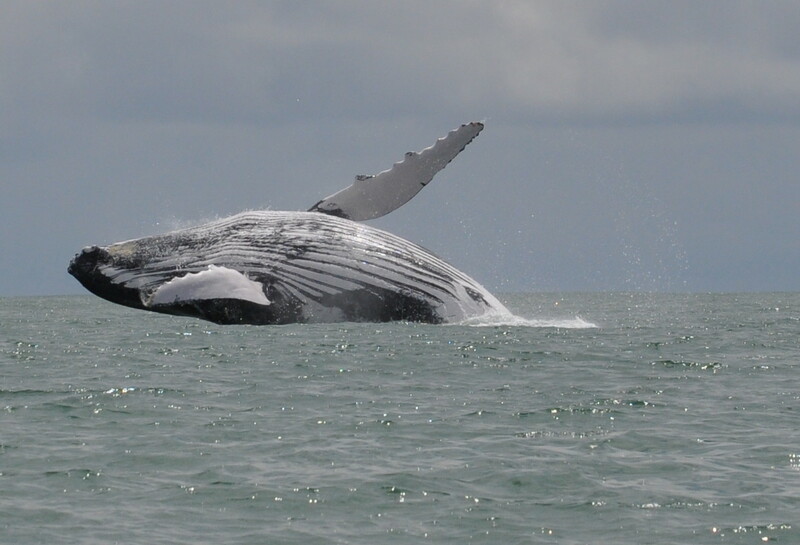 Humpback whale watching, in season from September to April, is a popular adventure as well. The largest coral reef on the Pacific Coast of Central America forms a crescent necklace with the three small islands known as Las Tres Hermanas (three sisters) and Ballena island as the center piece. The park stretches from the southern end of Playa Hermosa to the northern end of Playa Piñuela and about 9 miles (15 km) seaward. The park entrance and hiking trailbegins in San Gerardo de Rivas, one hour from Los Aires. The park can be accessed by bus from San Isidro or by private vehicle or taxi. This is a full-day trip and most hikers prefer to spend the night at the base camp lodge and summit in the morning, hiking down the next day. Los Aires can store luggage for guests who spend the night off the property. Our staff can assist with reservations for the hike / lodge or they can be made directly by visiting the MINAE Park Office in San Isidro. Overnight visitors should bring heavy clothing suitable for sleeping in potentially near freezing temperatures. Cerro Chirripó is the highest mountain in Costa Rica, with an elevation of 3,820 metres (12,533 ft). It is located in the Chirripó National Park and is noted for its ecological wealth. The high peaks in this and La Amistad International Park host important areas of Talamancan montane forest and Costa Rican Páramo with high endemism and an extremely high biodiversity. The peaks of these mountains, because of their height, constitute sky islands for many species of plants and animals. Snow has not fallen on the peak in the past 100 years or so, according to the University of Costa Rica, but hail is reported sometimes. Uvita was chosen as our headquarters for many reasons, most notably are the unspoiled jungles and beaches of the Southern Zone of Costa Rica. The diversity of landscape ranges from pristine beaches to lush mountain trails, literally minutes apart. Uvita ranges in altitude from sea level to a quick ride up to 4000’ where the air is cool and crisp. Relax at the deserted black sand beach in Dominical's rocky sister, Dominicalito is the spot for intermediate surfers looking for smaller waves and beach lovers looking for a romantic sunset. South of Dominical and a close to the Costanera highway, Playa Dominicalito – little Dominical – is a scenic beach with interesting rock formations at both ends of the 2km stretch. The beach is bordered by the Costa Paraiso Lodge to the north, where one finds a small cove and a natural ‘pool’ surrounded by rocky outcrops, and Punta Dominical to the south, where the ‘Parcela’ restaurant is located. The sunset on Playa Dominicalito is known to take one’s breath away by the sheer intensity of colors. Less crowded than its sibling, Dominicalito's unrivaled in its scenic beauty with rocky points and tide pools stripped bare from years of erosion mar the northern and southern points of the beach. In between, the beach is littered with different stones, some as small as pebbles other smooth, round cobblestones while shady wild almonds reach over the beach for sunlight. The beach is finely worn comb of mostly underwater rock formations off the coast that protect the beach from the strong swell that often smash against neighboring Dominical. Luckily, the rocks are far enough away, that it won't interrupt the surfing, though there are some cobblestones at the tide line you'll want to watch out for if you're riding in. During high tide, there's a special point break known as a favorite local spot. On and off the property are many hiking options. The Jim P. Royle Memorial Trails, traverse the villa property, leading the hiker to various natural water features, including waterfalls, canyons, rock grottos, springs and swimming holes. Hiking out to the Nauyaca falls is a challenging but rewarding 2 hour trip through the forest to the most spectacular falls in Costa Rica. Hike to the top of Mt Chirripo. At 4300m this overnight hike is a test of endurance and character. . 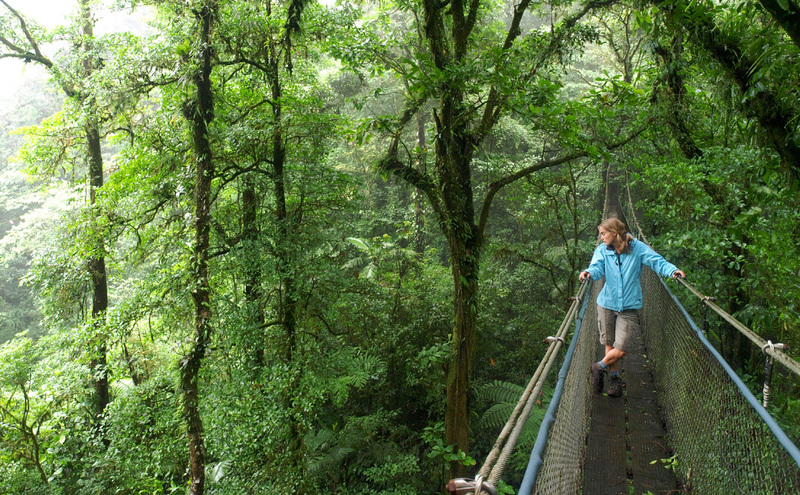 Seriously, pack your finest walking boots and plan on taking a hike during your upcoming Costa Rican vacation. Nature trails near "Los Aires" are exceptional for teeming with local wildlife and exquisite tropical plants. We highly recommend that you take full advantage of these amazing sites by exploring their nearby surroundings, be it rock-laden creek beds, cascading waterfalls or uphill jungle terrain. Birdwatching Paradise: opportunities abound all over southern Costa Rica. 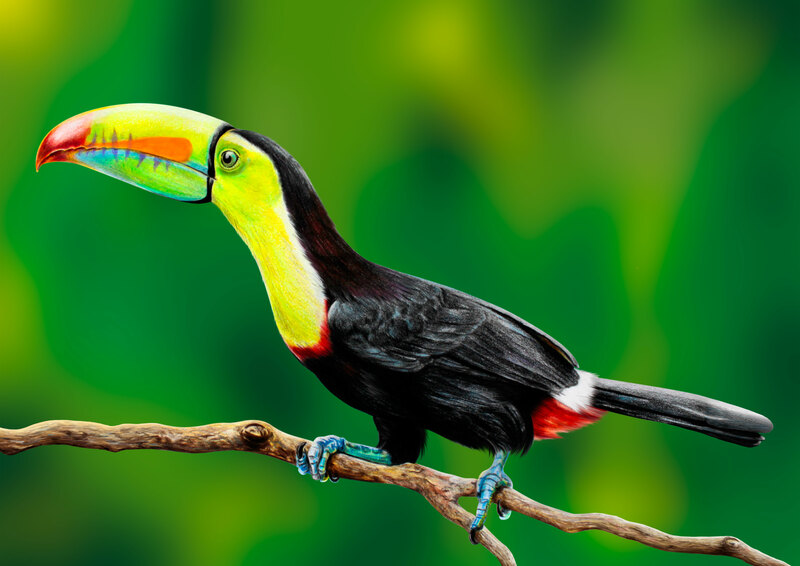 Cusingas call in the morning and toucans frequent Los Aires late in the afternoon. The scarlet macaw has made a dramatic comeback here in the Southern Zone. Guests can also consider birding in a cloud forest in search of the elusive resplendant quetzal. The town of San Gerardo de Dota, north of San Isidro on the Pan American Highway (marker 80 km) is prime quetzal country. It lies at over 3000m elevation and is almost perpetually shrouded in fog. The cloud forest here boasts many species of birds including the resplendent quetzal and other trogons. There are many fine lodges and nature reserves that focus on birding in this area. 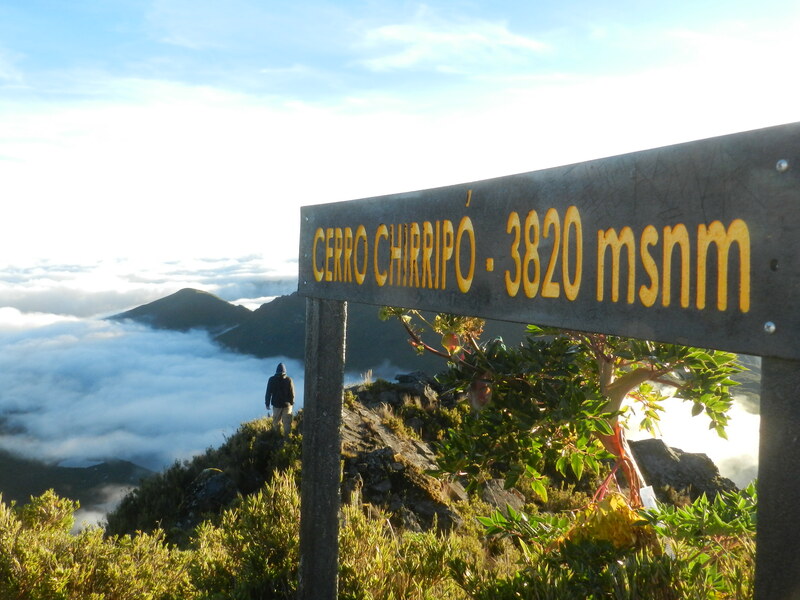 At kilometer marker #89 is, the highest point in this part of the Talamanca Mountains: Cerro de la Muerte (Peak of the Dead), elevation 3491 meters. Caves, birds, monkeys, sloths, breathtaking views of the Pacific Ocean. Kayaking & Snorkeling Tour The tour starts at Piñuelas Beach where kayaks are launched for an exciting one and a half hour paddle to Ballena Island. After a tropical lunch of fruit and cold drinks on the island, you go snorkeling to discover the colorful underwater world around Ballena Island. 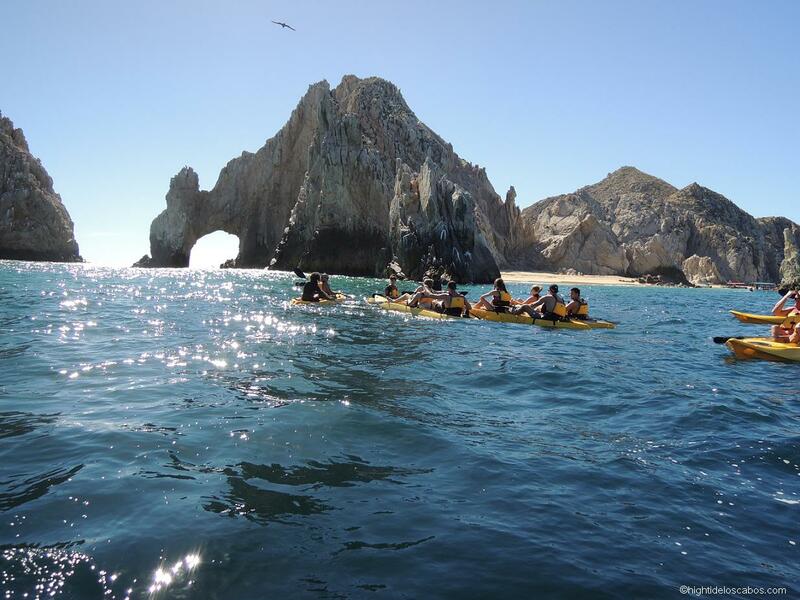 The paddle back to the beach is a great opportunity to observe marine wildlife. 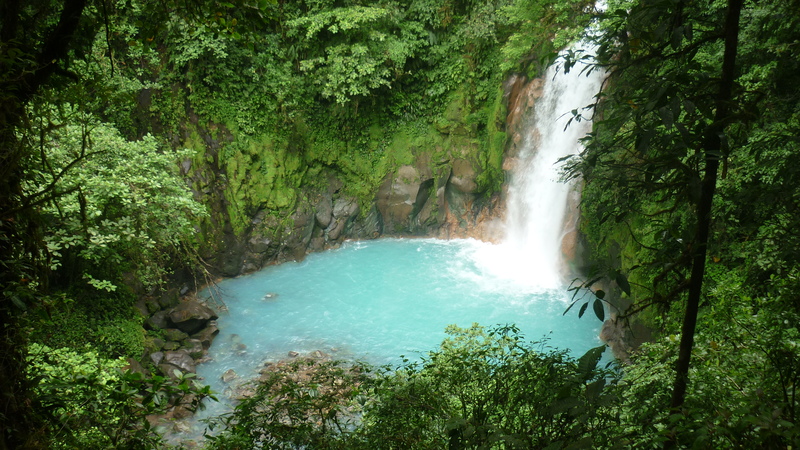 Close to Villa Los Aires you can find the great Pozo Azul waterfall, at just a 5 minutes-drive from Dominical. Surrounded by dense vegetation where only a few rays of sun are able to penetrate into the tropical forest, its waters are always fresh and cold, ideal for after a day at the beach. When looking for relaxation, great scenery, wonderful food and amazing people, a beautiful place to bathe and chill out with friends and family. Although smaller than the Nauyaca Waterfalls, Pozo Azul is just as beautiful. It’s best to get here early on in the day to avoid crowds. Be prepared for the steep trek down and up the river bank to the waterall swimming hole. 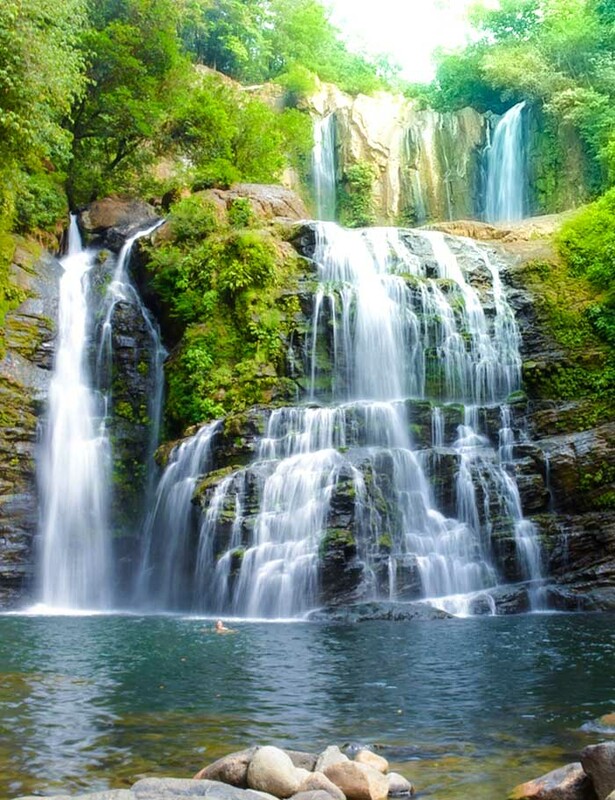 Located close to the village of Escaleras in the quiet town of Dominicalito, Pozo Azul Waterfalls boast inviting crystal waters at the feet of a beautiful waterfall. Arnulfo's Falls are across the Caña Blanca in a private reserve of one hundred hectares of old growth forest, on the mountainside above Los Aires. Rigo's Falls are lower in the valley and are an impressive place to rest a bit and enjoy a cold beverage. A local land owner provides guided horseback tours through old growth and secondary forest, pastures and country roads.